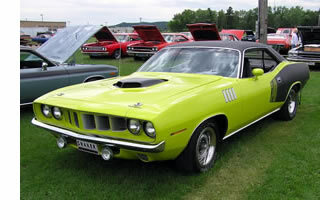 We carry a large selection of new, used, NOS, and reproduction parts for your Mopar muscle car. We specialize in 1962-74 Mopars and have over 25,000 square feet of warehouse space packed full of parts, so feel free to contact us if you are looking for a particular part and you don't see it in our online store. Since we are always looking to expand our inventory to serve our customers better, if you make reproduction Mopar parts please contact us - we may be interested in carrying them! We invite you to browse through our online store. Please note that the product prices shown do not include shipping. Once you place your order, an itemized order email will be generated. We will then contact you with accurate shipping costs and arrange for payment. For your best value on new, used, NOS, or reproduction Mopar parts, look through the big catalogs, but then contact us at Mega Parts and save a lot of money!